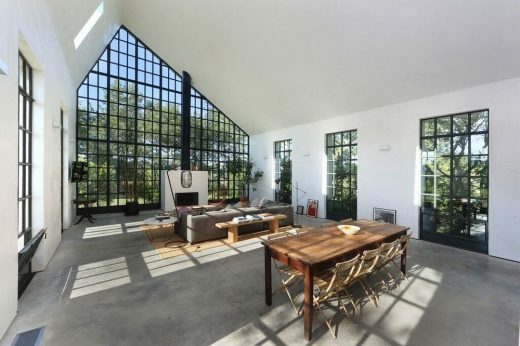 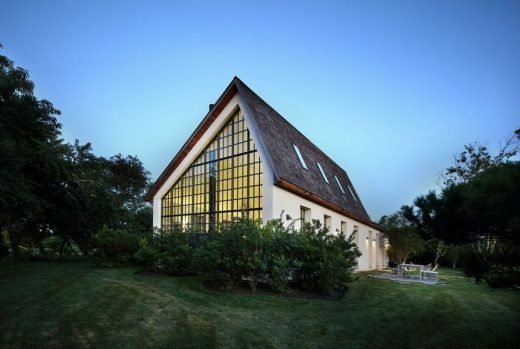 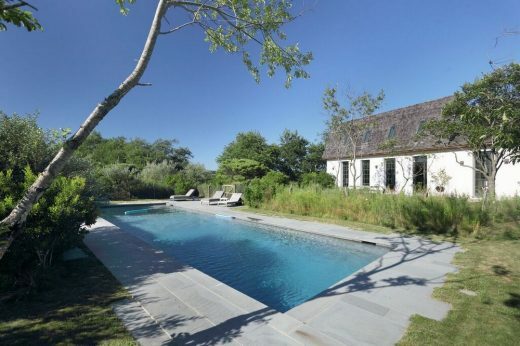 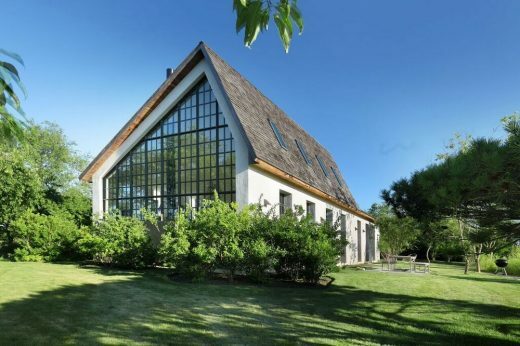 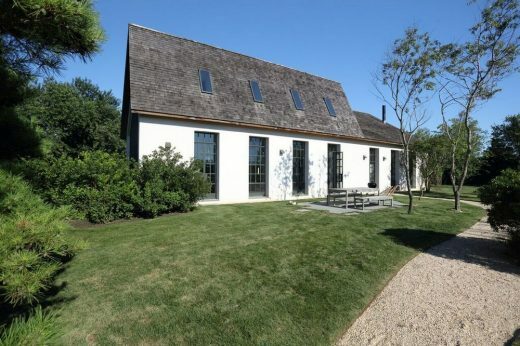 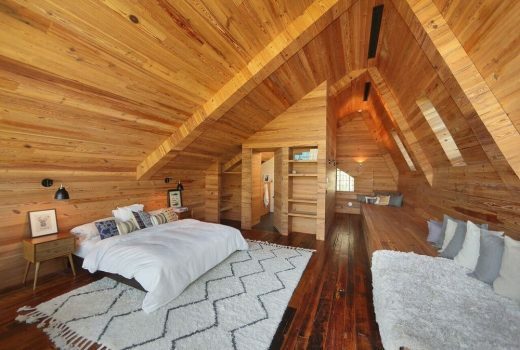 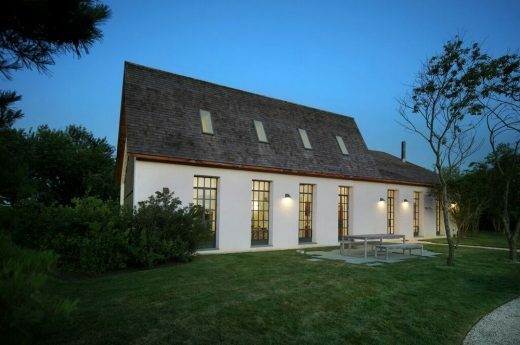 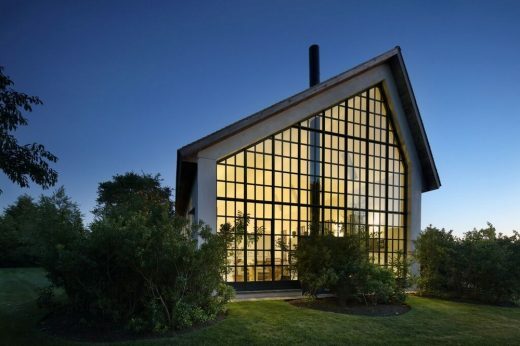 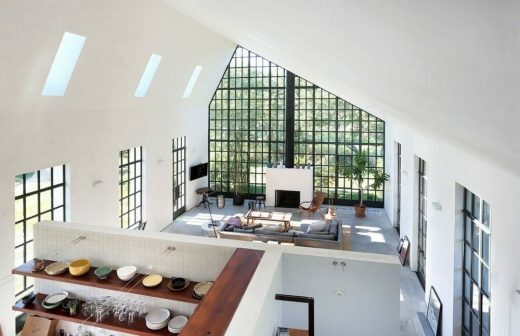 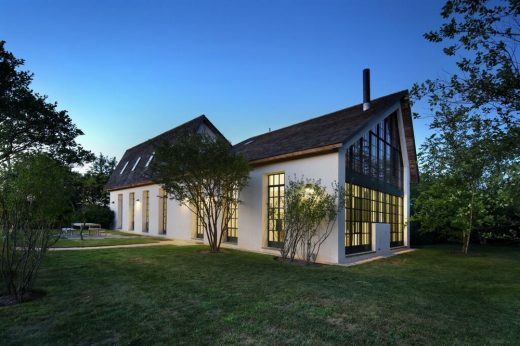 This house sits in a corner of a large lot in the center of Bridgehampton, New York. 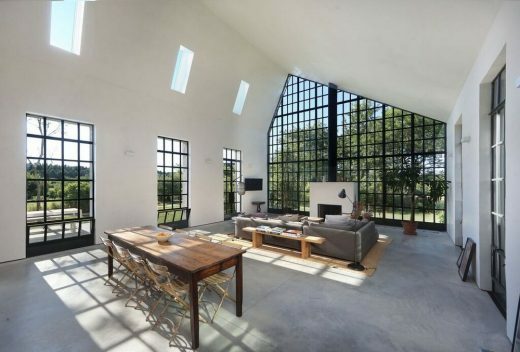 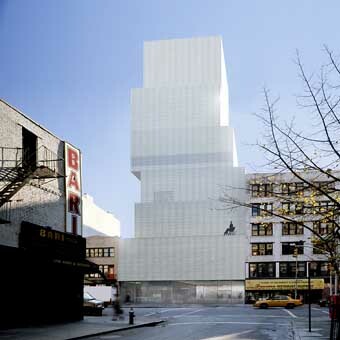 Reminiscent of an old farmhouse with it’s simple shape and repetitive openings, also shares it’s DNA and it’s open space plan with that of a New York loft. 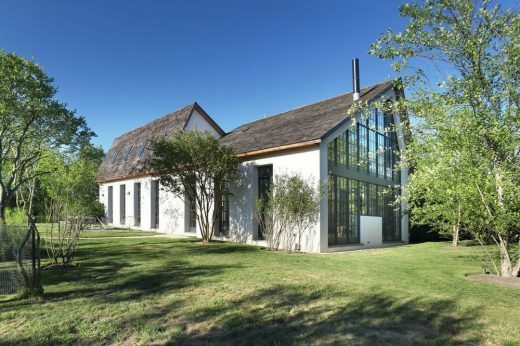 The house, which was designed and built in 8 months, provides numerous connections to it’s surroundings – gardens, outdoor shower, pool & BBQ pit , while the larger double height end windows maximize the relationship with distance spaces beyond. 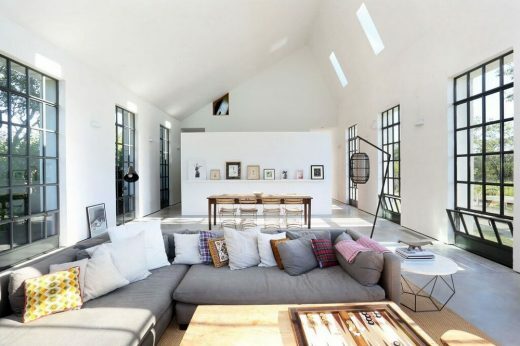 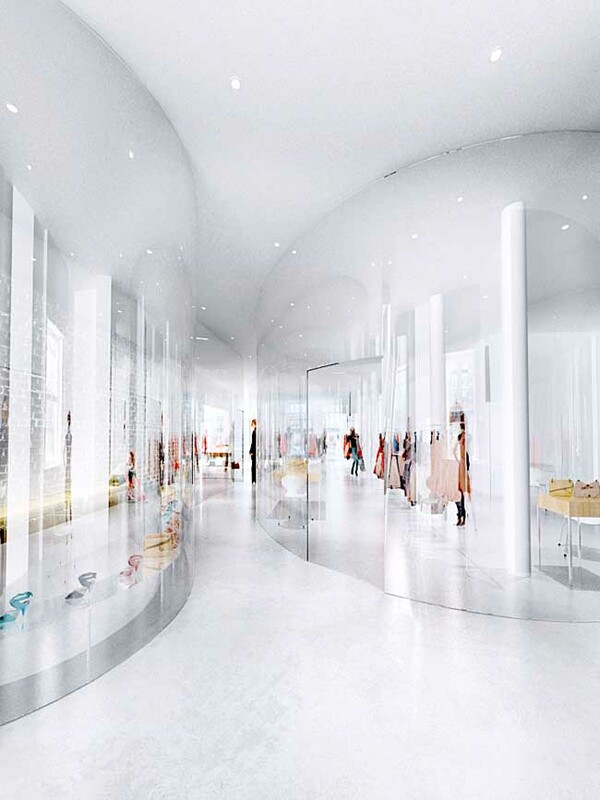 The open plan is an exercise in fluidity and weightlessness, which contrast the heavily insulated – stucco exterior walls that ground it. 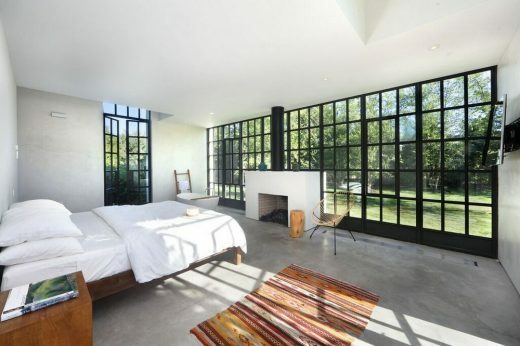 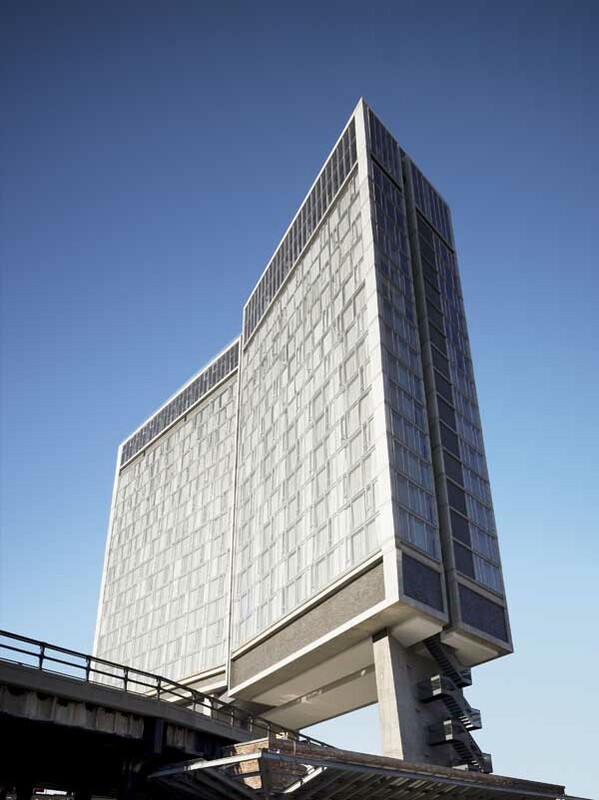 steel casement windows and doors with radiant concrete floors throughout. 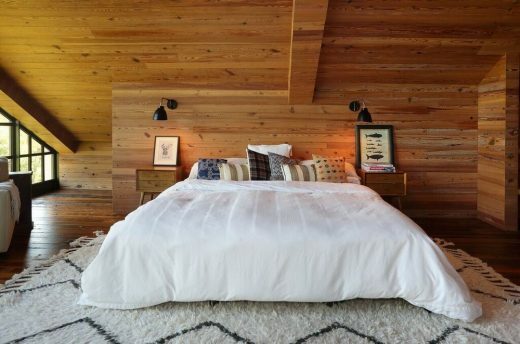 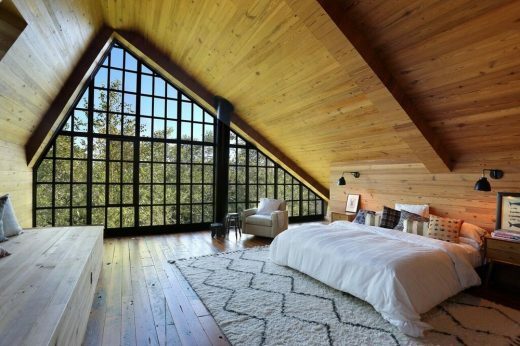 The wood paneling in the loft area and the wood of the kitchen cabinets was made from the wood of an old warehouse in Williamsburg, Brooklyn.